Yesterday I had the great pleasure of meeting with Jonathan ‘Ozzie’ Oswald of The Hip Hop Chip Shop and finally trying their food that I’d salivated over so much while building their website, when they came to Sheffield for Peddler Market. I had met Ozzie before but this was the first time I got to meat his team and sink my teeth into some of the food… and WOW… it did not disappoint! 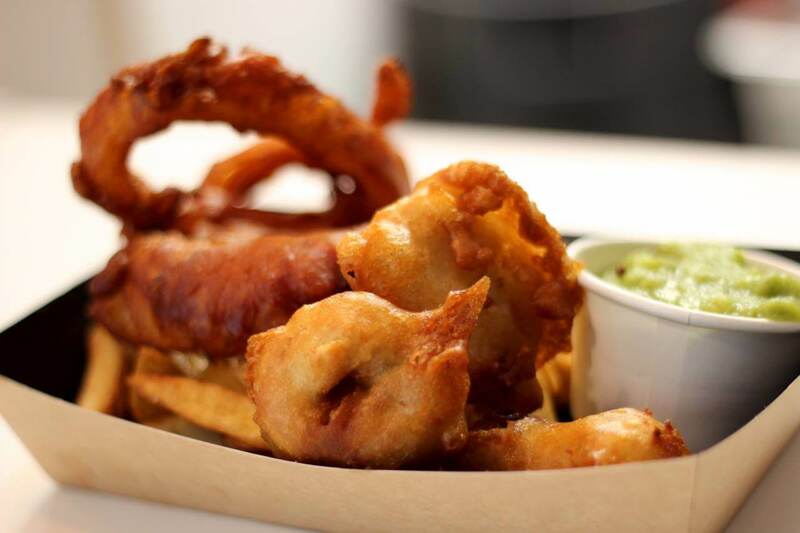 Without a shadow of a doubt the best fish & chips I’ve ever tasted, and possibly just some of the best food I’ve ever had — and I’m not just saying that — I urge you to track down their award winning boom box trailer (which I helped to design) and try the food out for yourself. While ‘The Hip Hop Chip Shop’ might be a ridiculously neat pun, the vision Ozzie has for his street food business is far from gimmicky; he is clearly committed to providing gourmet quality food and is doing so with the loveliest bunch of people you could hope to meet. Today more than ever, I feel truly honoured to be working with these guys, and I feel sure that where they are going is a place truly bigger than hip hop.